GoPlay is running another giveaway to gift one of their fans with a brand new smartphone! 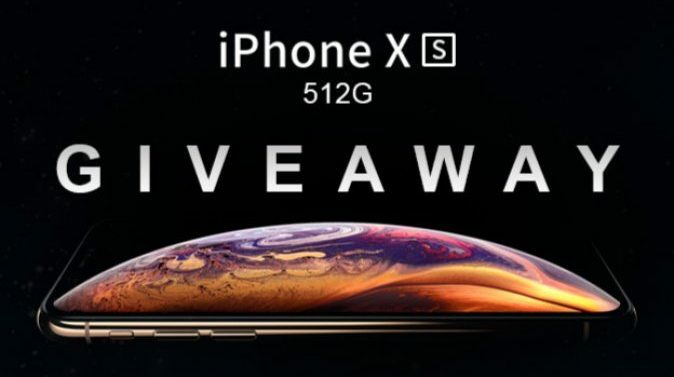 To enter in their latest Apple iPhone XS 512G Smartphone Giveaway grab your free entries by following few simple steps listed down below! Super Retina in two sizes — including the largest display ever on an iPhone. Even faster Face ID. The smartest, most powerful chip in a smartphone. And a breakthrough dual-camera system with Depth Control. iPhone XS is everything you love about iPhone. Taken to the extreme. The custom OLED displays on iPhone XS deliver the most accurate color in the industry, HDR, and true blacks. And iPhone XS Max has our largest display ever on an iPhone. The most durable glass ever in a smartphone. A beautiful new gold finish, achieved with an atomic-level process. Precision-machined, surgical-grade stainless steel bands. And a new level of water and dust resistance. Security is simple when your face is your password. You can unlock your iPhone, log in to apps, and pay for things with a glance. It’s the most secure facial authentication ever in a smartphone. And now it’s even faster.